Our last hurrahs are like singers’ farewell tours—they tend to come around again next year—but this is a farewell to our fiftieth volume, which officially ends on 30 June, even though we have already published all four issues. I thought a fitting way to conclude would be a final giveaway, perhaps something combining both Blake and the number fifty. 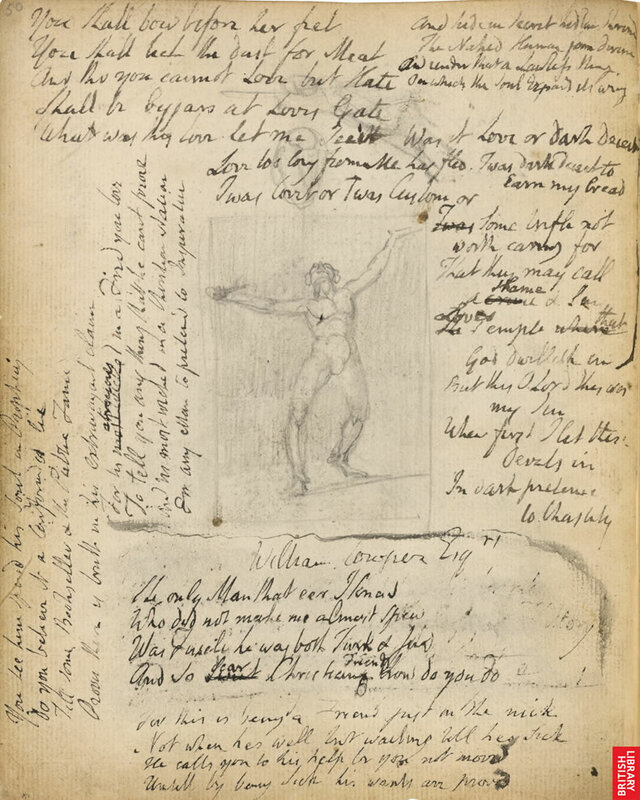 Page 50 of the Notebook (“The only Man that eer I knew / Who did not make me almost spew / Was Fuseli”) and page 50 of The Four Zoas (“I slumber here in weak repose”) might be missed by the British Library. Then I hit upon Jerusalem, which conveniently has a plate 50 (Milton comes up just short). 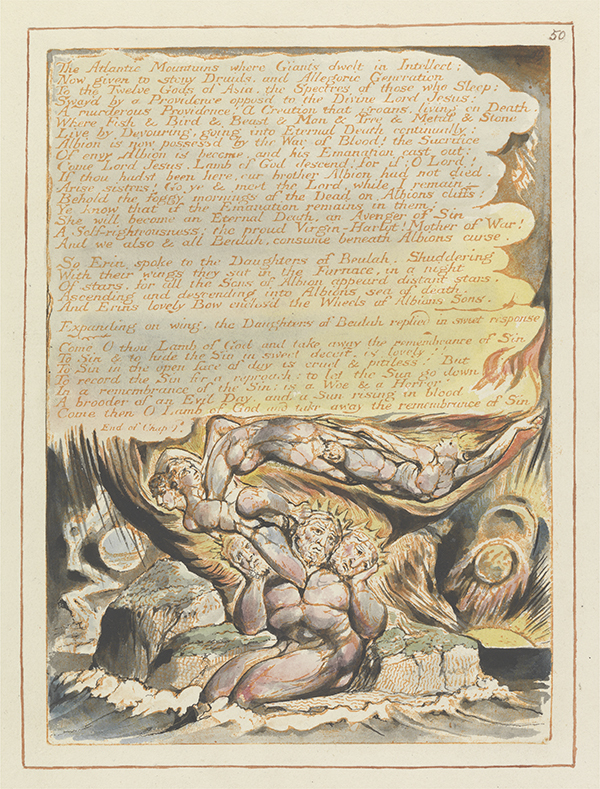 The upshot is that we’re giving away a facsimile (unfortunately not the original, which is at the Yale Center for British Art) of plate 50 of Jerusalem copy E, from the Blake Trust publication of 1951. 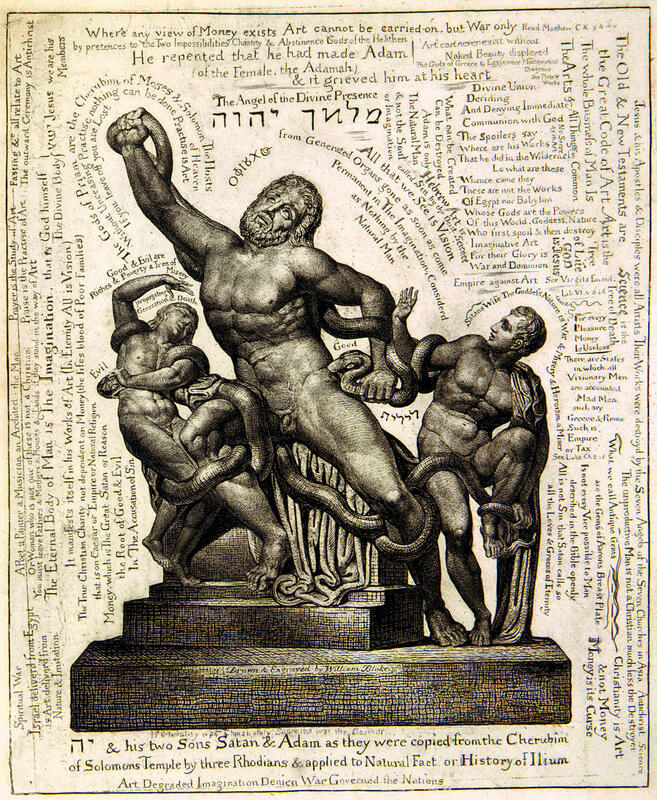 Luckily it has both text (“The Atlantic Mountains where Giants dwelt in Intellect”) and image (a three-headed man, probably Hand, with other men, possibly Locke, Bacon, and Newton, spewing from his chest). Bodies, suns, moons, cliffs, sea, flames, lightning—it’s got it all (except serpents). Image courtesy of the Yale Center for British Art. The prize includes one unframed print plus shipping to the winner’s address. To enter you do not need to provide anything other than your name and an e-mail address, which will be used only in the case that you are the winner. One entry per person. 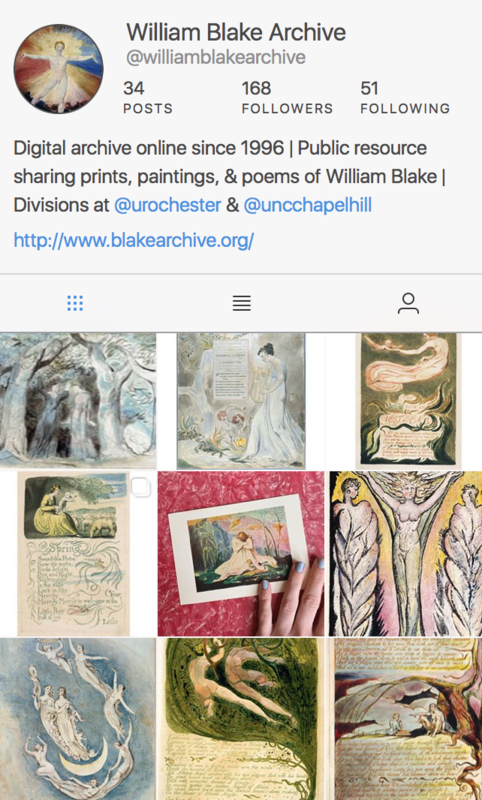 Please refrain from entering if you are on the staff or editorial board of the journal or if you work for the Blake Archive. Please don’t enter if you’ve previously won something from us. Most importantly, if you are the winner and a US taxpayer you must agree to provide the University of Rochester (where the Blake Quarterly resides) with a W9 form. It is your responsibility to pay income tax on the value of the print (US $100.00). If you are the winner and not a US taxpayer it is your responsibility to determine any tax obligation in your country. You are also responsible for any VAT or duty that may be charged on the shipment. If you reside in Canada, you must answer a skill question before the prize can be awarded. You can e-mail me (sarah.jones@rochester.edu) with any questions about the giveaway. Here’s the link to enter. The winner will be drawn on 23 June. Good luck! Update (23 June): Our winner is Luke Walker. Congratulations to Luke, and thanks to all who entered.